City Council Commission E supports Sepatu Bang Sandi competition to encourage Jakarta small medium enterprises (UKM) to be more innovative and creative.
" Through competition, local industry businessmen will be enthusiastic to innovate"
Commission B Chairman, Yusriah Dzinuun said, UKM actors will be more inspired to produce high quality products thus new entrepreneur could grow. "Through competition, local industry businessmen will be enthusiastic to innovate," she said, Tuesday (11/14). She hopes City is able to hold competitions in order to boost local entrepreneurs to be more creative such as handmade crafting contest and others. 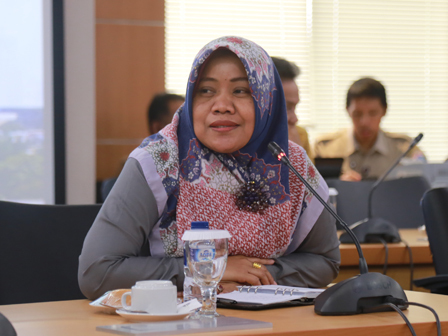 Other similar thing is also mentioned by Commission B Member, Ida Mahmudah. According to her, Sepatu Bang Sandi competition could develop Jakarta UKM. "This is great to develop UKM and it surely will open more jobs," she said. Previously, Jakarta Vice Governor, Sandiaga Uno officially opened Sepatu Bang Sandi competition at Jakarta Creative Hub. This competition opens for all UKMs in Jakarta.